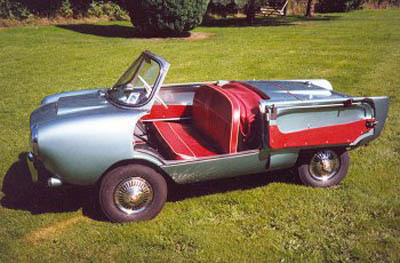 The Frisky Sport convertible microcar was produced by Henry Meadows Vehicles Ltd. The original Frisky microcar was seen at the 1957 Geneva Motorshow, with the Frisky Sport being shown at the Earls Court Show later that year. The Frisky Sport used a 328 cc Villiers engine and the car was capable of 56 mph. The Frisky also came as coupe model, and a 3-wheeled version was offered in 1959.